Do you like FAT tires? What about HIGH seats? Ground Clearance? You want that? Bam! The Eco Fat Delta. This trike is a beast. It sits up high and is a blast to ride. Features dual-disc brakes and special version of or posi-axle for TWO-WHEEL DRIVE! 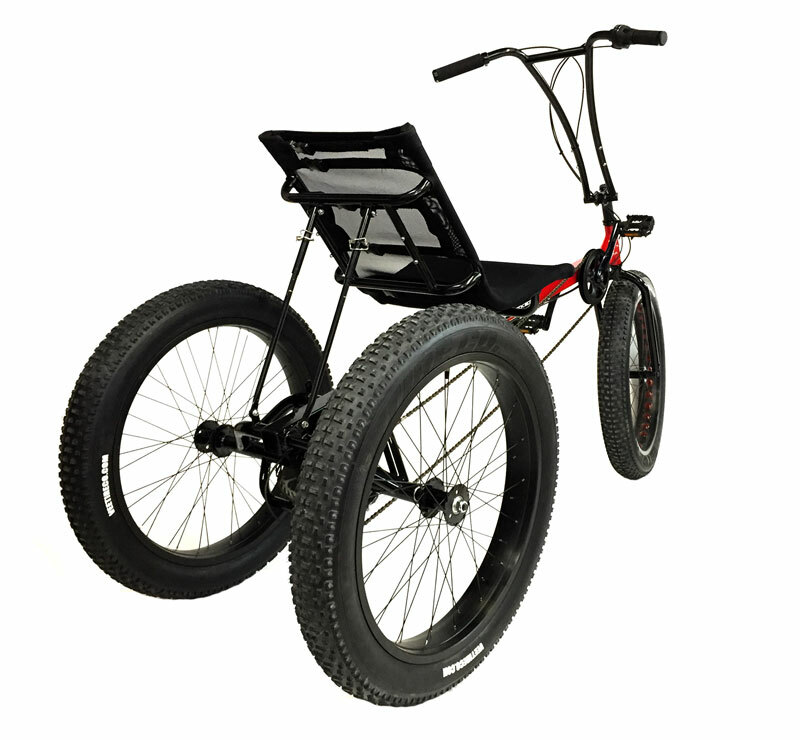 With Fat tires all around this trike is great for snow, gravel, off-road, and just plain having fun. It's finally here. The Fat Delta. We took the Sunseeker Eco Delta and beefed it up with fat tires all around. It has incredible ground clearance and with the dual-drive differential it is ready for some off-roading. Everyone knows the fat tires look incredible. 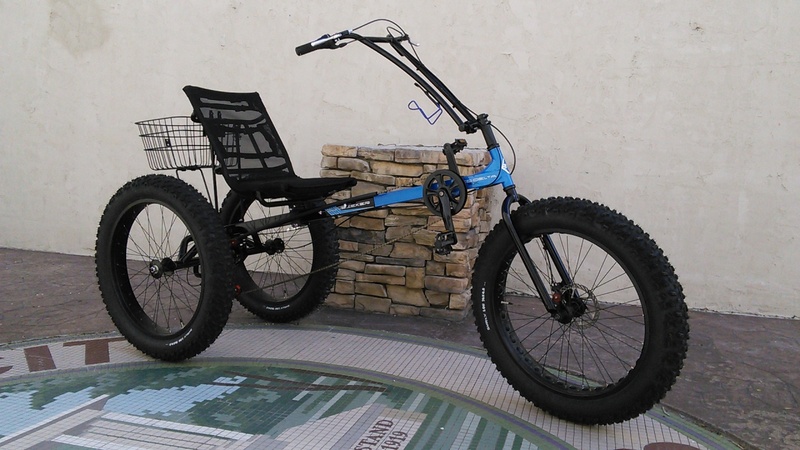 They'll make any trike look like it can handle all sorts of terrain. These tires aren't just for visual appeal. The extra wide tires give the Fat Delta incredible traction, making it ideal for loose gravel and dirt. 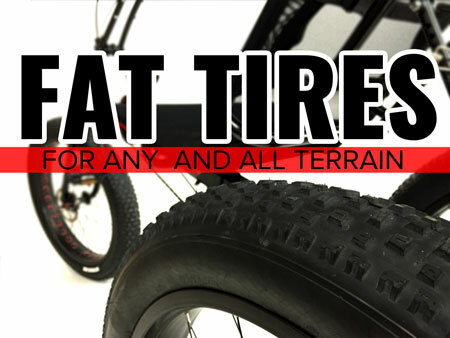 The tires also give the Fat Delta an smooth and comfortable ride, even over decent sized bumps or potholes in the road. The dual-drive differential is what keeps the Fat Delta going even over wet-grass or in the snow. Things that usually cause your tires to slip and lose traction won't be a problem for the Fat Delta. Let's not even bother talking about ground clearance. Actually, we will. This monster lets you sit way off the ground. It gives you a stellar view of everything around you so you can cruise in comfort and enjoy the view. You won't have to worry about rocks or bushes damaging the frame, so that new paint job will stay fresh.